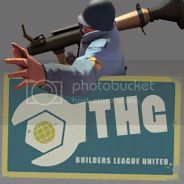 All welcome to sign up for THG Match's and events! Saturday December 5th @ 7.30pm bst/uk. 9v9 Highlander Match! Best out of 3 Maps WINS! -Mumble needed for comms or in-game team speak. -Stay for the duration of all three maps! -Notify me/your team if you cant make it or suddenly have to leave! Add me on steam friends here to let me know! -Names down reply to this thread/message me on steam friends if preferred. Once we have full interest and full team's of 9's (subs applicable also, max 2 each team) of signup's! maps and teams will be organized and balanced to make things fair and posted nearer the time of event! Thanks all, good luck and have fun! Add me as a sub MIG! I already have plans for this saturday, but you never know! Yeah sorry its short notice its just that im free on saturday night from doing my bathroom project and stuff, if it doesn't go down well by saturday then ill try to move the date forward to say middle of next week type of thing so it gives more time for others and for those who are still interested but cant make it on the date given. Sounds good, thanks for organising this! 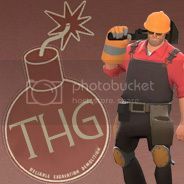 I'm available, willing to fill whatever class gaps are needed (though preferably not Sniper or Spy). Hey Mig, i'm in ! Hi, I would like to attend if possible. I'm in. Not fussed what class. If we are struggling for players, it should be easy to grab some off the main server. Might be easier if mumble wasn't a requirement though. Isn't the ingame voice good enough?